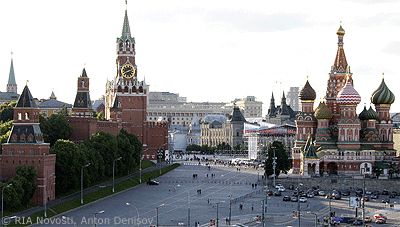 (Moscow Times – themoscowtimes.com – John Freedman – June 23, 2014) As we approach July 1, the day after which obscenities will officially be banned in Russian art, the Russian creative community is doing what it can to make sense of a concerted push on the part of the government to regulate the arts and artistic expression. By writing the phrase “doing what it can” I am both honoring those who take the time and spend the effort to speak out, as well as pointing out the limits of what can be, and is being, done. On Monday the Meyerhold Center will convene a discussion that will go far beyond the matter of banned language, and will take on the much-maligned state project, “The Foundations of State Cultural Policy.” This public event will feature statements from Vladimir Tolstoy, one of the authors of the government declaration about culture’s place in society, and from Alexander Rubinshtein, a member of the working group that is putting the declaration together. Also expected to participate are representatives of Moscow theaters, journalists, students, government officials and other interested parties. According to Yelena Kovalskaya, art director at the Meyerhold, the complete transcript of the discussion will be published on the gazeta.ru site and on the working group’s official “discuss-the-project” site. Earlier this month both the Playwright and Director Center, with performances of Alexander Pushkin’s “obscene” poetry, and the Meyerhold Center, with a satirical evening of performances featuring snippets from works that employ expletives, sought to stake out territory opposing increased government interference in artistic matters. But despite these notable efforts, what we are not seeing is a mass movement. We are not seeing large numbers of individuals gathering to protest. We are not seeing big-name figures – whether artists or not – speak out against the creeping trend of censorship. We all have fond memories of the suggestion by senators months ago to ban the import of women’s lace underwear. Last week another such law was proposed by more diligent lawmakers with nothing better to do – if they have their way, the import of sneakers and high-heeled shoes will be banned. Then there is the law put forth last week by the State Duma’s Culture Committee that would ban the “unjustifiable” use of foreign words in Russian speech and writing. Indeed, it is a sight to behold – the Russian government machine encouraging and unleashing forces of deadly violence in and against the former “brotherly neighbor” of Ukraine, while threatening at home to take away citizens’ lace underwear, high-heeled shoes, bad language and foreign words. Our great contemporary satirists, such as Viktor Shenderovich or Dmitry Bykov, are only able to respond to developments with quips and ripostes. As it turns out, brilliant as they are, they haven’t half the imaginative powers of Russian parliamentarians looking for still another joke law to top the last joke law. Shenderovich, for example, could recently do nothing but share someone else’s photo of a hip-looking young Russian man stomping on the American flag as he affectionately fondles his U.S.-made iPhone. But that, in fact, is precisely where we are headed – into a world of impossible contrasts, filled with mixed, mutually-exclusive messages and the complete breakdown of meaning in our words, our images and our actions. Listen to this, if you think I’m overstating it: Even as the ban against expletives in art is set to go into place, the Russian constitution still proclaims that censorship itself is banned. By the way: If you’re reading this in the United States and you are visited by the desire to gloat about Russia’s problems – don’t get me started… Don’t even think about it.